Are we really that far along in depleting all the key metals? That's worth looking into, given the role LAC plays in the world metals market. Don't panic there's plenty of gold, copper, etc in the sea. One gold deposit off New Guinea is several hundred meters in diameter and 3 meters thick and only two kilometres deep. One north east of Pitcairn is several kilometres long 300 meter wide and a meter thick, 80% gold, it's three km deep a little trickier but simple to mine if you know how. 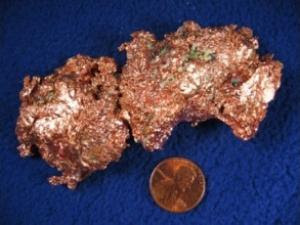 There are equivalent copper deposits. Once the red tape is out of the way, the sea miners can go for it. Some of us are even working on developing a sustainable mining technology. I do need capital if you know anyone rich. The prices we are seeing are just what the sea bed miners have been waiting for. The idiotic "Law of the sea" treaty has held things up but someone will challenge it soon I believe.